Part of the coach tour through Davis-Monthan AFB includes the journey along ‘celebrity way’ on which a number of famous aircraft are mothballed, primarily for show rather than with an expectation of them flying again. There were interesting stories about each one which the tour guide brightly told us. Being on a coach meant I couldn’t really take notes and I decided against recording the whole tour. I will share with you the pictures I took of the celebrity aircraft. Some of you may recognise one or two. If these have piqued your interest to find out more, you can go and visit them and hear the stories from someone who knows them all! 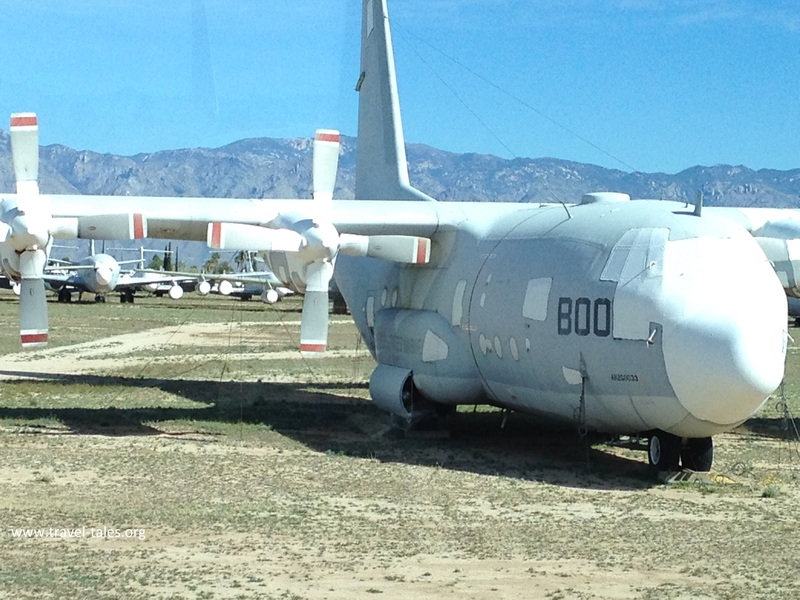 Between the Pima Air and Space Museum to Davis-Monthan AFB there is also a civilian storage/salvage yard. We only saw it from the road so I don’t know how much mothballing vs slaughtering for parts goes on there.